To anyone who’s ever sent a many-times-forwarded email before: Please stop it! Or at least if you’re going to continue to forward messages, please do it right. I’m going show you how to forward an email without making your email address and your friends’ email addresses vulnerable to SPAM and viruses. For what it’s worth, I’m pretty tech-savvy. But while I was researching some facts for today’s post, I actually learned a few things myself. So I can assure you, there’s a little something in here for everyone today! Following are a few tips about forwarding emails that we can all use, plus how to forward an email correctly. Forwarded emails are the primary reason for the huge amounts of SPAM email that we all receive in our inboxes every day. Forwarded emails are also the root of most viruses that people receive on their computers. 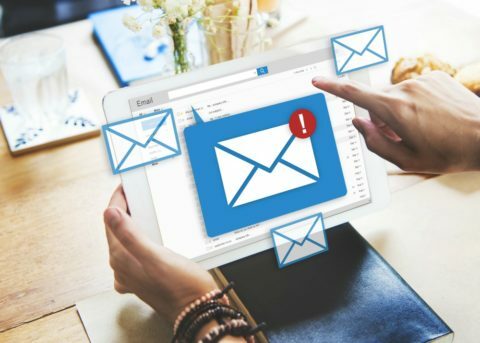 Well, you may have noticed that every time you forward an email message onto someone else, certain information (such as the e-mail addresses and/or names of everyone who’s received this email before you) carries over each time. The point is: you should never send an email to someone with all of that information showing. Here’s how to forward an email properly — what you should do each time you want to forward messages on to someone else. As an email message gets forwarded from one person to another (eventually being read by hundreds or even thousands of different people), that list of email addresses that you see in the “To:” or “CC:” box continues to build as well. This creates a nice long list of everyone who’s ever received that particular email through this particular chain of forwarded email messages. It’s no secret that Internet marketing and email marketing are good ways to get a product (or an idea) in front of more eyeballs than could otherwise be reached. But that’s where the unscrupulous behavior comes in. Some people (who have something to sell, who have a great idea, or who “buy” active email addresses for other purposes) will take forwarded lists of email addresses and use them to their advantage to send SPAM email. To send details of their “great product or idea” to thousands of people at once via email messages. To try out their hacking or spamming skills and see how far they can get at wreaking havoc online. To build their own database of email addresses — so they can eventually send SPAM email messages to those email addresses later. You see… an active, regularly checked email address is a hot commodity these days. And yours could be utilized in more ways than you know — if you don’t protect it! You’ve heard about people getting a virus from opening an email message before, right? That’s pretty straightforward. But did you also know that the email addresses (and computers) of completely innocent people who’ve never even opened an email containing a virus can be used as pawns in the process of spreading viruses and sending SPAM email? It happens all the time… email addresses (and computers) are effectively hijacked and utilized for someone else’s gain. Through a sophisticated process of computer hacking which involves tapping into computers, activating codes, sending things via email addresses, and invading online Contact Lists and Address Books. Keep your computer as secure as possible with unique passwords, firewalls, anti-virus programs, spyware removers, etc. These are all “hoops” that someone would have to jump through in order to gain access to your personal information. Keep your email addresses as private as possible by using more than one email address and by not forwarding (or even opening) forwarded emails. Here’s how to avoid getting a computer virus. So, what can you do to prevent your email address from being included in forwarded emails? Simple. Tell everyone you regularly communicate with via email how to forward an email safely and correctly. That way, you will be helping to put an end to Internet SPAM and computer viruses — rather than making it easier for unscrupulous people to use lists of email addresses to their advantage. The more people who forward messages the right way, the less vulnerable we all are in the long run. It’s up to each of us to follow these simple steps in order to provide extra security and privacy to all of the people on our Contact Lists and in our Address Books. If we don’t “hide” the email addresses of our friends and relatives when we send email messages, then we are adding to the problem by putting those email addresses out there for all to see… for anyone to steal… and for some to use to their advantage! TIP: I only give out my “junk” e-mail address anytime I’m corresponding with someone that I don’t know very well. Until I can determine that they’re not the type to get (and send!) forwarded emails, they’re simply not worthy of my “good” email address. The fewer people who know about my “good” email address, the less SPAM I receive at that address, and the less likely it is that my favorite email address will be hijacked and used for someone’s else’s advantage. Every email you send (even forwarded email) should be personal — it should look like a personal email message, rather than looking like forwarded junk mail or SPAM. Email should only be sent (or forwarded) to people who know you well — otherwise, you’re adding to the problem. Email messages should only be forwarded to those you are confident would be happy to read the things that you find interesting — don’t waste the time of people you care about sending junk emails just because you think they’re funny. Forwarded emails should only be sent after you remove all of the email addresses that this email has previously been sent to. If you’re going to send (or forward) an email message to more than one person, don’t show all of those people who you sent it to by typing the email addresses on the TO: line. Instead, type the email addresses on the BCC: line — so no one can steal those email addresses, use them unscrupulously, or send SPAM email to those addresses.